It’s still in its infancy, but the Centers for Medicaid and Medicare have prevented more than $800 million in improper payments, courtesy of its cutting-edge technology. The much-hyped CMS Fraud Prevention System, which was designed to work seamlessly with the efforts of protecting the Medicare Trust Fund, is finally beginning to pay off. Those who will benefit most are the taxpayers and the elderly who rely on these important programs. In July, the Centers for Medicare & Medicaid Services, or CMS, announced the program identified or prevented $820 million in inappropriate payments in the program’s first thirty six months. With an extensive series of analytics and algorithms, erroneous billing patterns and problematic claims are quickly identified. It’s been described as a system similar to what’s used in banking and credit card companies. In fact, the system identified or prevented $454 million in calendar year 2014 alone, equating to a 10 to 1 return on investment. This past June, Health & Human Services (HHS) and the Department of Justice announced they had succeeded in bringing down the largest coordinated fraud effort in history. More than 240 people were arrested, of which 50 were physicians. Others were nurses, pharmacists and other healthcare providers. 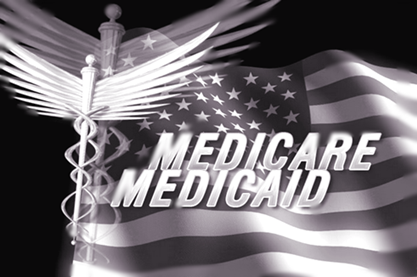 They are being accused of bilking Medicare out of more than $700 million via fraudulent claims. In one investigation, the system identified a questionable billing pattern at a podiatrist’s office. The doctor not only was reported to law enforcement, but his Medicare payments were revoked. In another instance, an ambulance company was paid close to $2 million and now cannot provide accurate documentation that 4,500 claims were legitimate. It too faced the same repercussions as the aforementioned podiatrist. Ultimately, it’s the taxpayer dollars that take the brunt; with stronger programs come better solutions. The program is tweaked with necessary so that those committing Medicare or Medicaid fraud are quickly flagged, investigated and addressed. It’s one of those rare “win-win” dynamics, especially for those who rely on the programs. To learn more about qualifying for Medicare and/or Medicaid, please contact our offices today. We have the tools and experience to help you cover your bases.